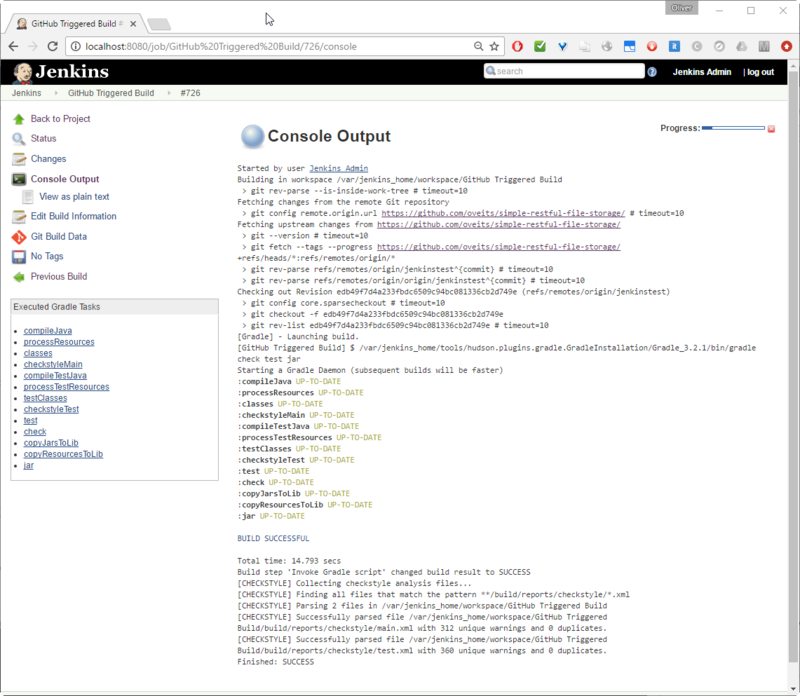 Jenkins is the leading open source automation server mostly used in continuous integration and continuous deployment pipelines. 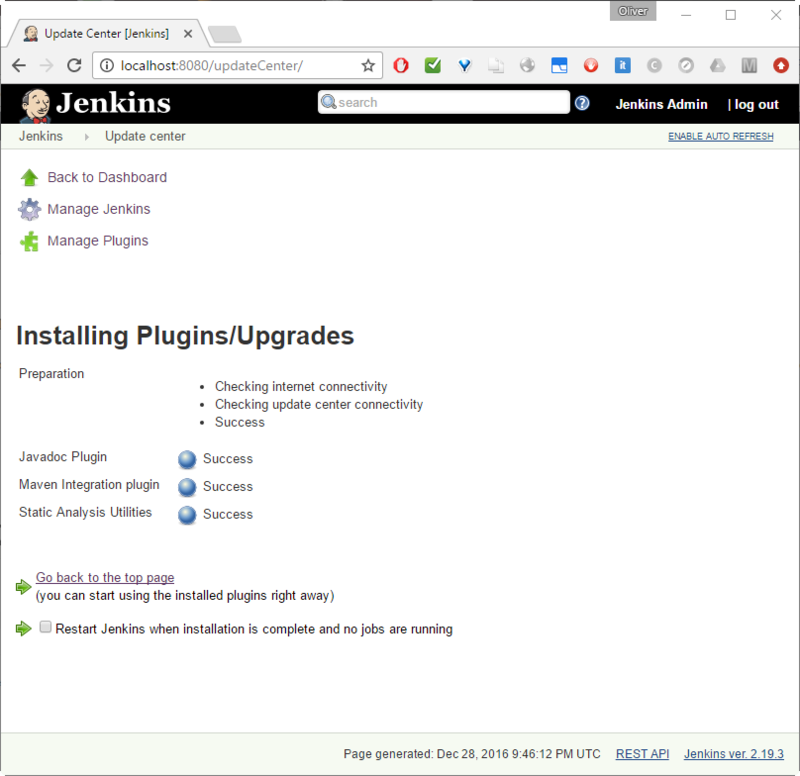 Jenkins provides hundreds of plugins to support building, deploying and automating any project. 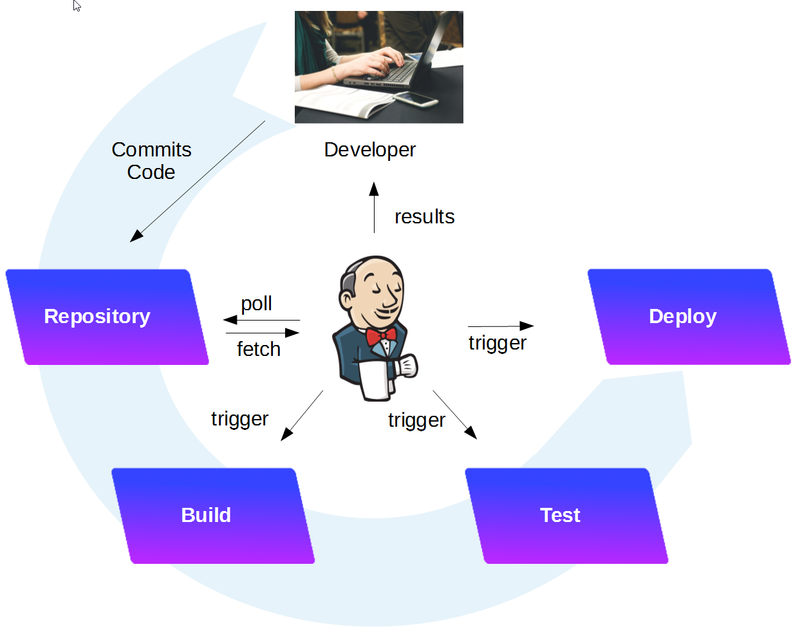 A typical workflow is visualized above: a developer checks in the code changes into the repository. 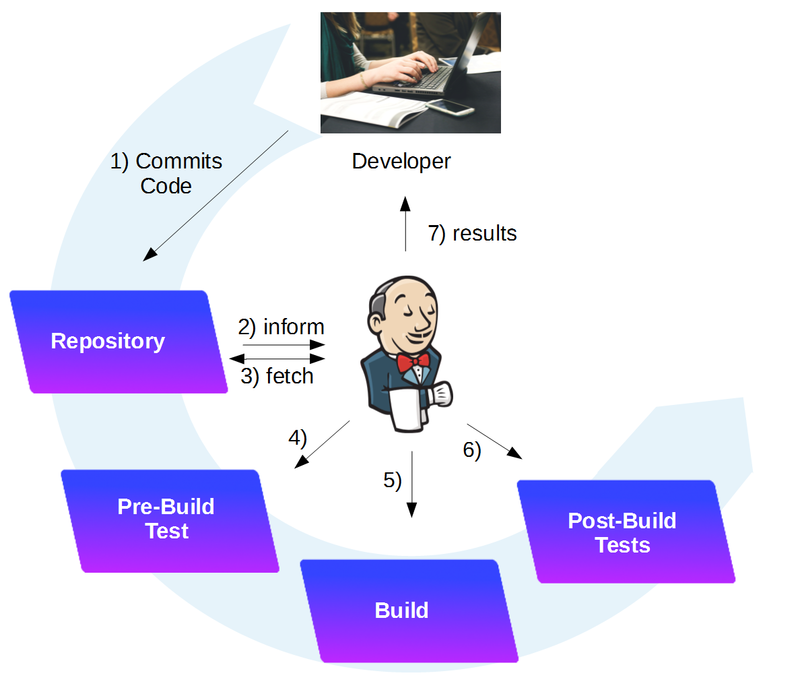 Jenkins will detect the change, build (compile) the software, test it and prepare to deploy it on a system. 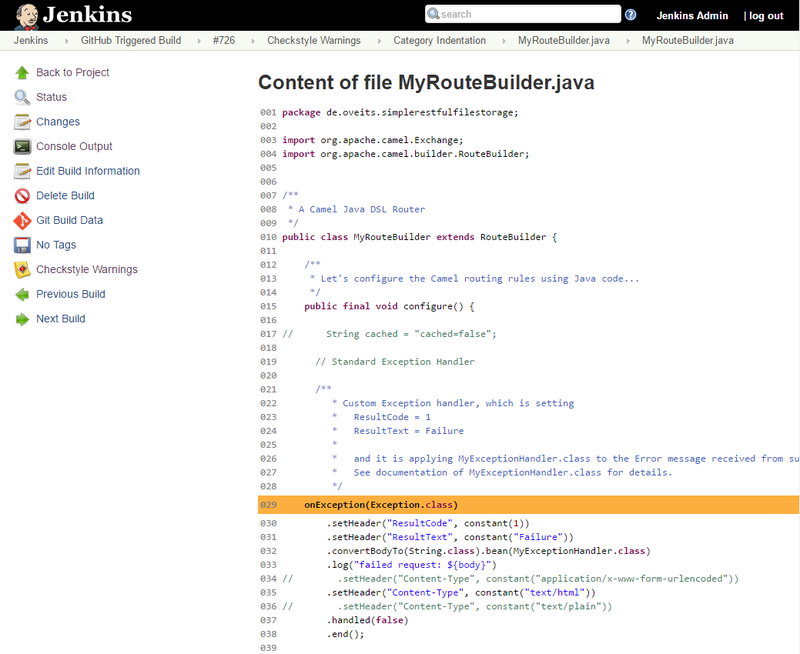 Depending on the configuration, the deployment is triggered by a human person, or automatically performed by Jenkins. 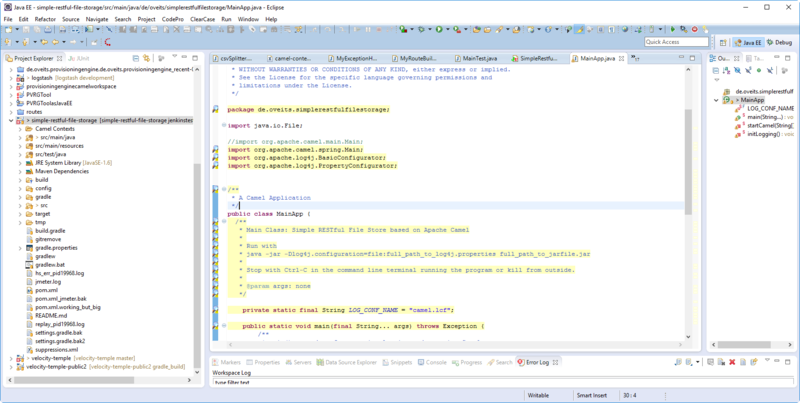 For more information, see the introduction found in part 1 of this blog series. 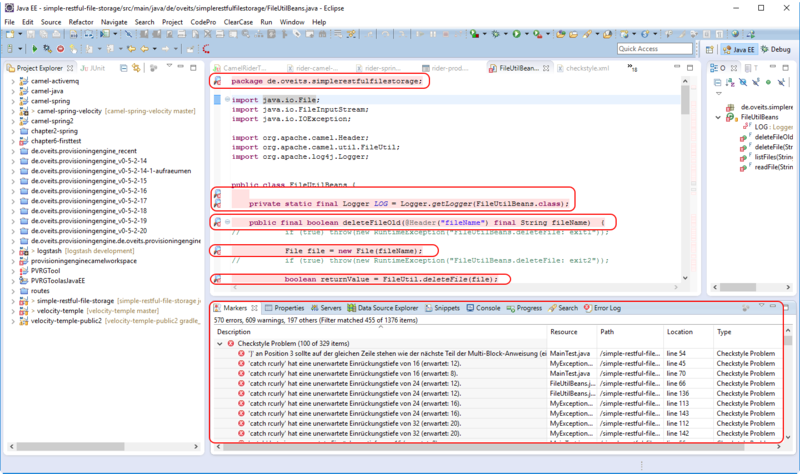 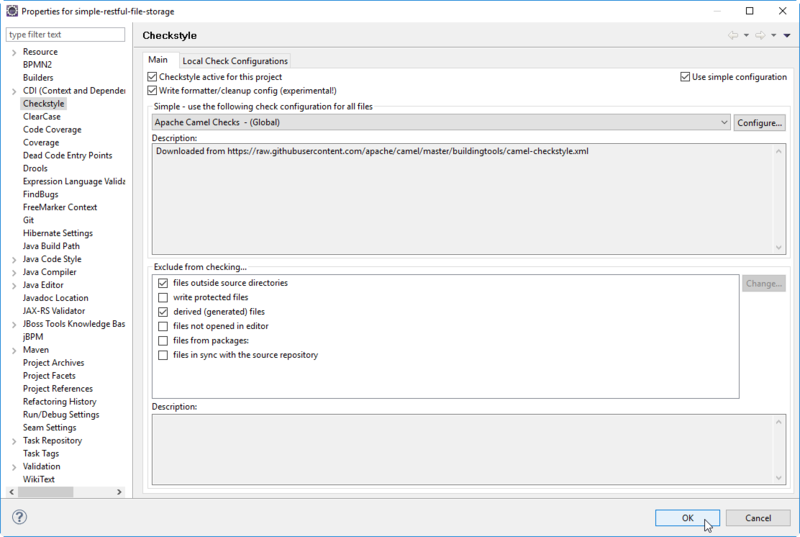 After this tutorial has been followed, we will have learned how to apply standard or custom checks on the code quality using Checkstyle in Eclipse and Jenkins. 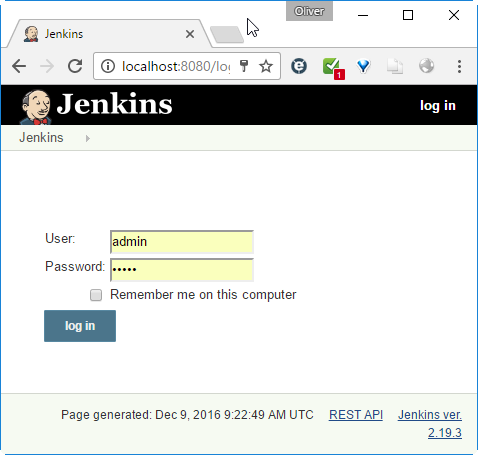 In our case, Jenkins is running in a container and we have mapped the container-port 8080 to the local port 8080 of the Docker host. 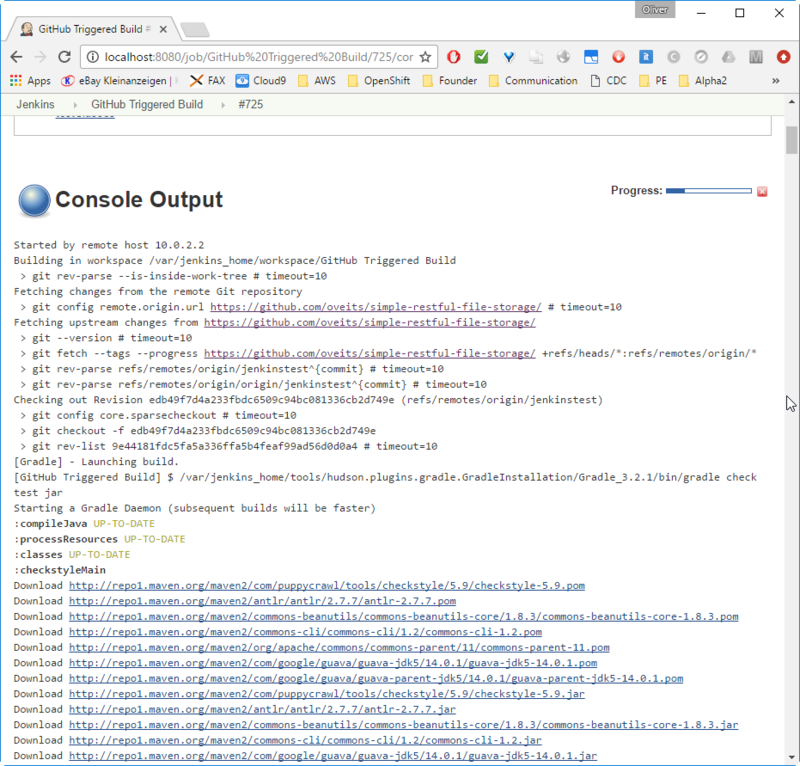 On the Docker host, we can open the URL. 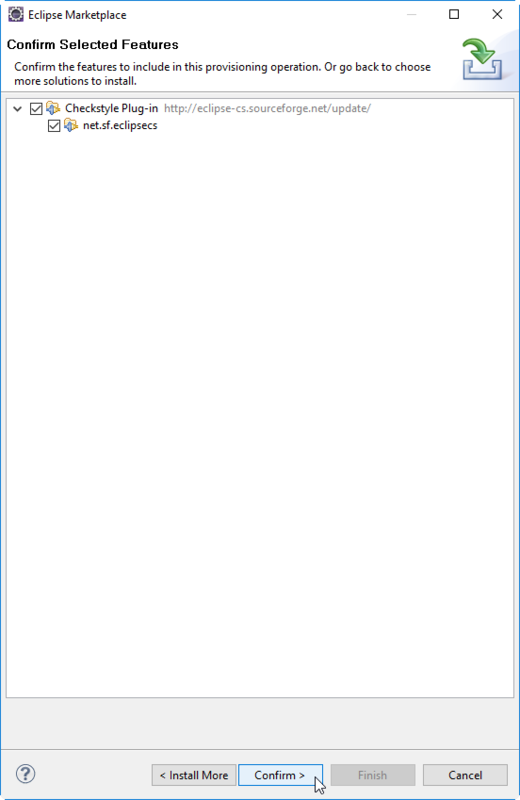 We have created this entry in part 1 already, but I have seen that the entries were gone again, which seems to be a VirtualBox bug. 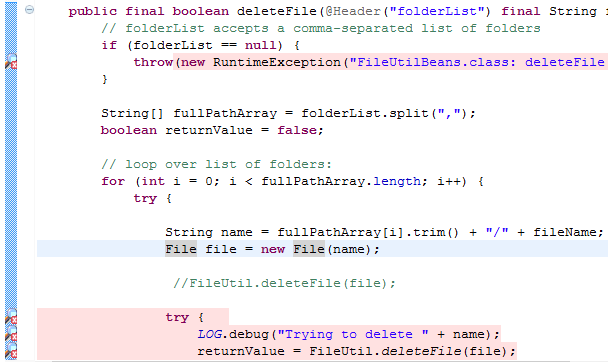 I have added it again now. 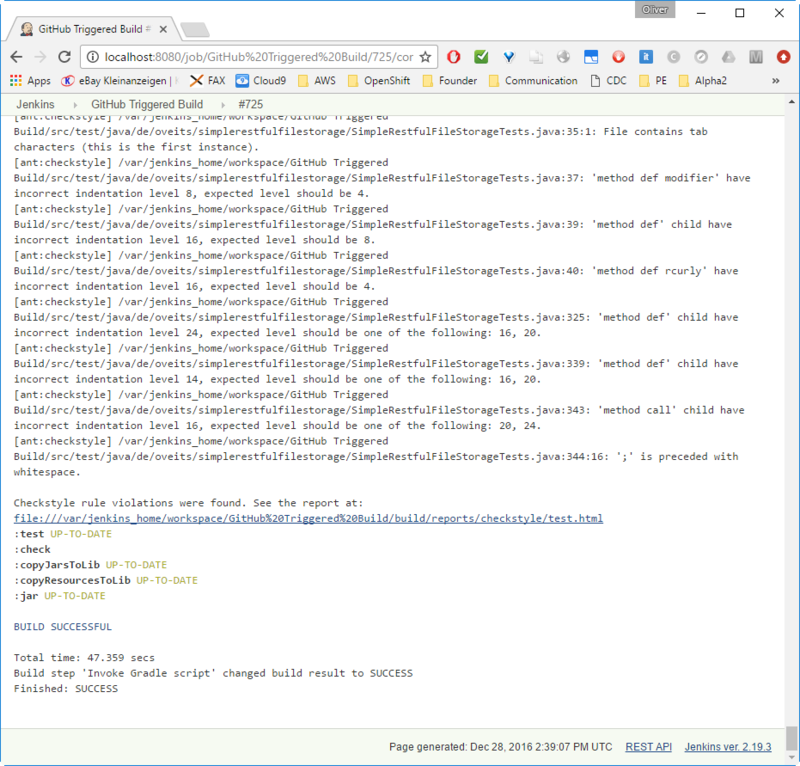 We have set ignoreFailures to true, since we do not want the Gradle build to fail for now. 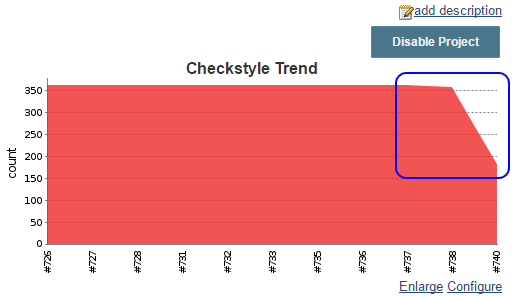 We are just interested in the Checkstyle reports for now. 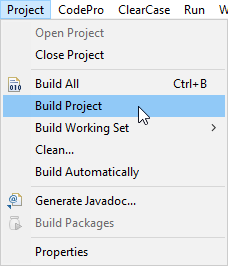 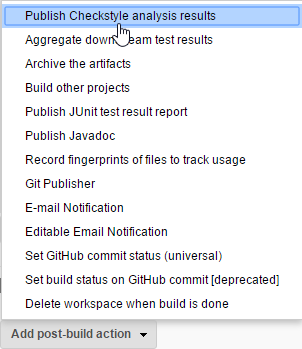 If you have no Git and/or no Gradle installed, you may want to skip this step and directly proceed to the next step, so Jenkins is performing this task for you. 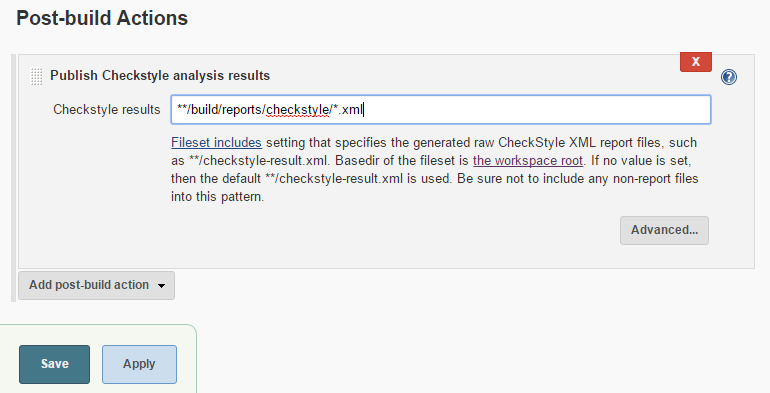 We have received a very long list of CheckStyle Errors, but, as configured, the build does not fail nevertheless. 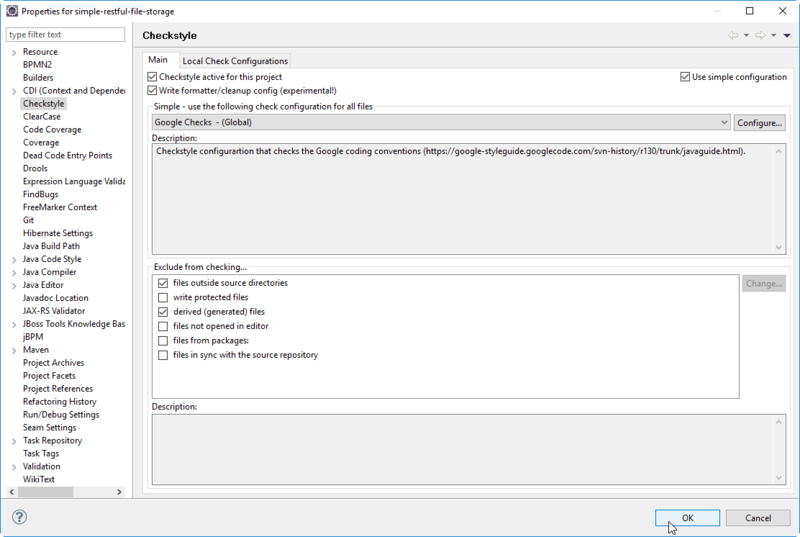 Note: I have not tried it out, but I believe that this step is not necessary, since the next step will automatically install all plugins the Checksytle plug-in depends on. 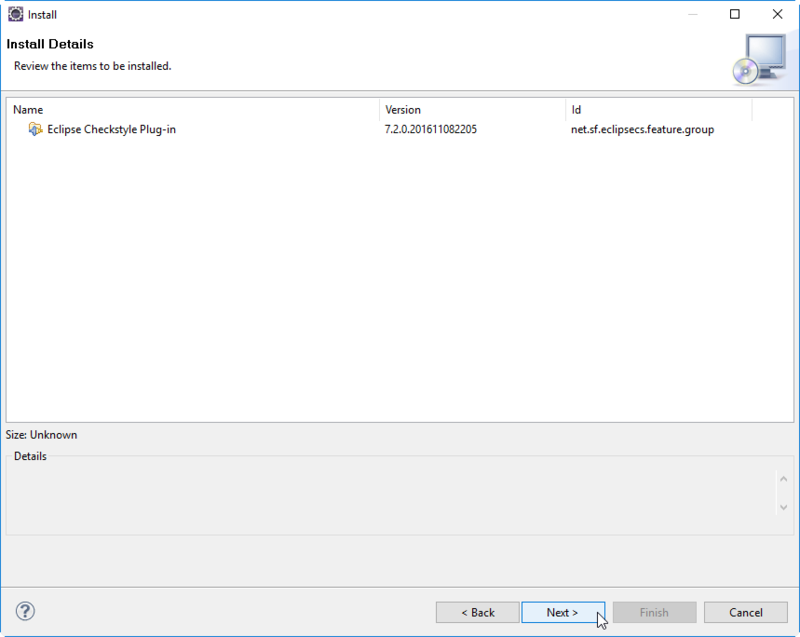 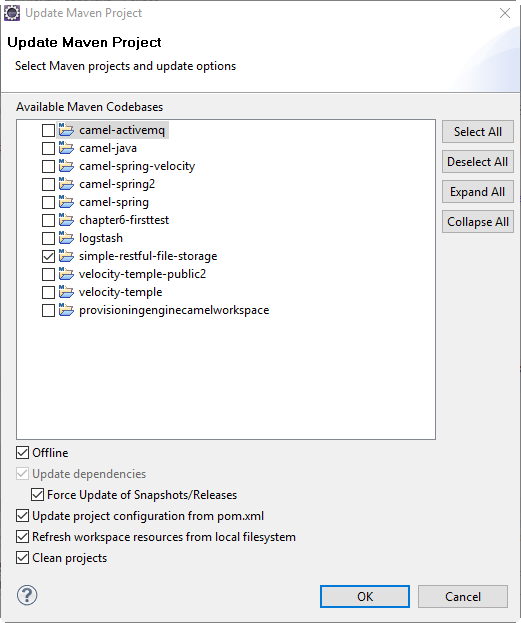 Check the checkbox of “Static Analysis Utilities” and Install without restart. 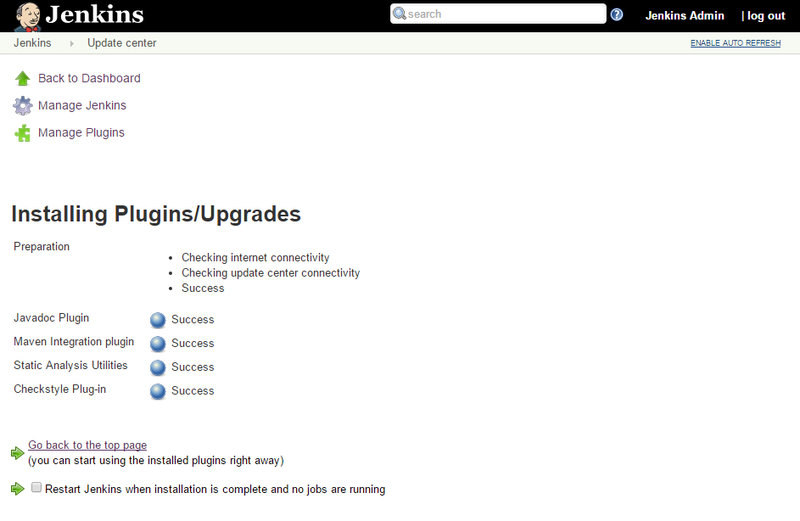 Check the checkbox of “Checkstyle Plug-in” and Install without restart. 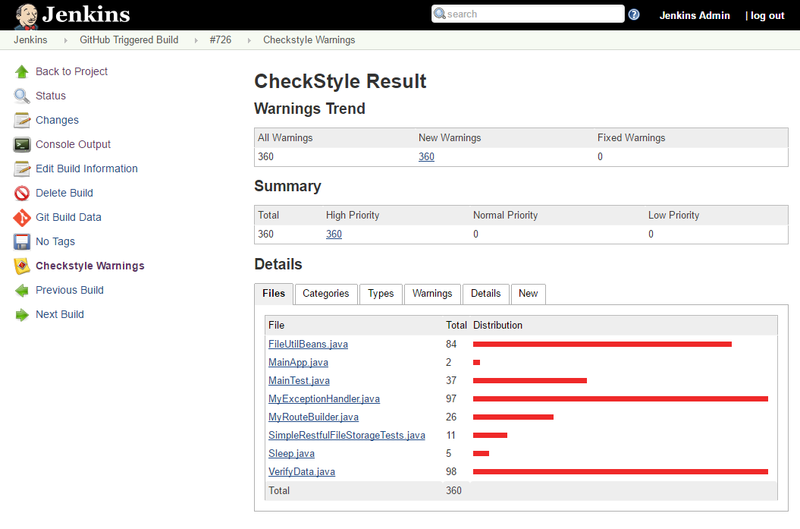 We now can see [CHECKSTYLE] messages after the build, telling us, that the reports were collected. 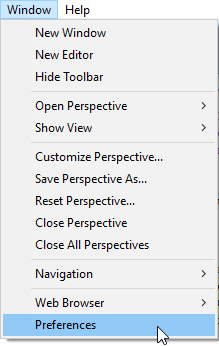 Now, where can we see them? 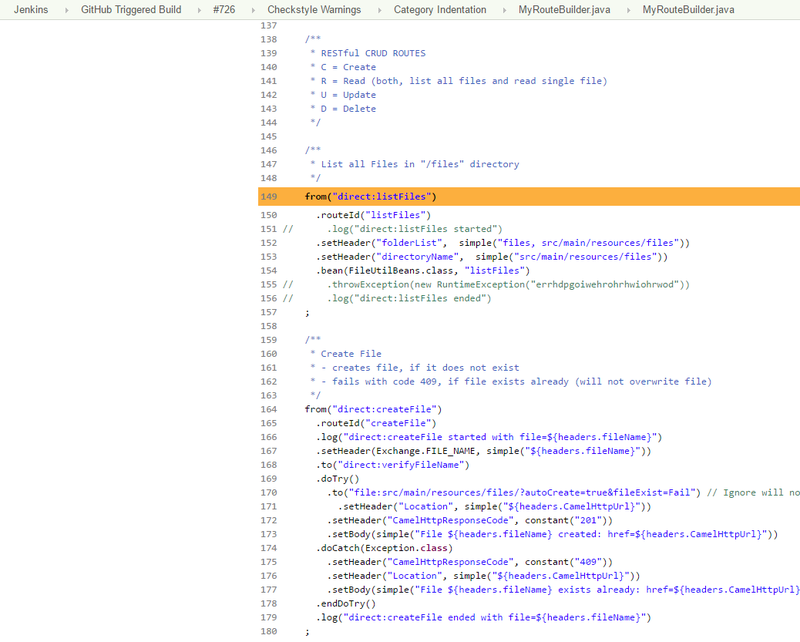 I either need to change this style, or I need to adapte the checkstyle.xml configuration file to ignore those warnings. 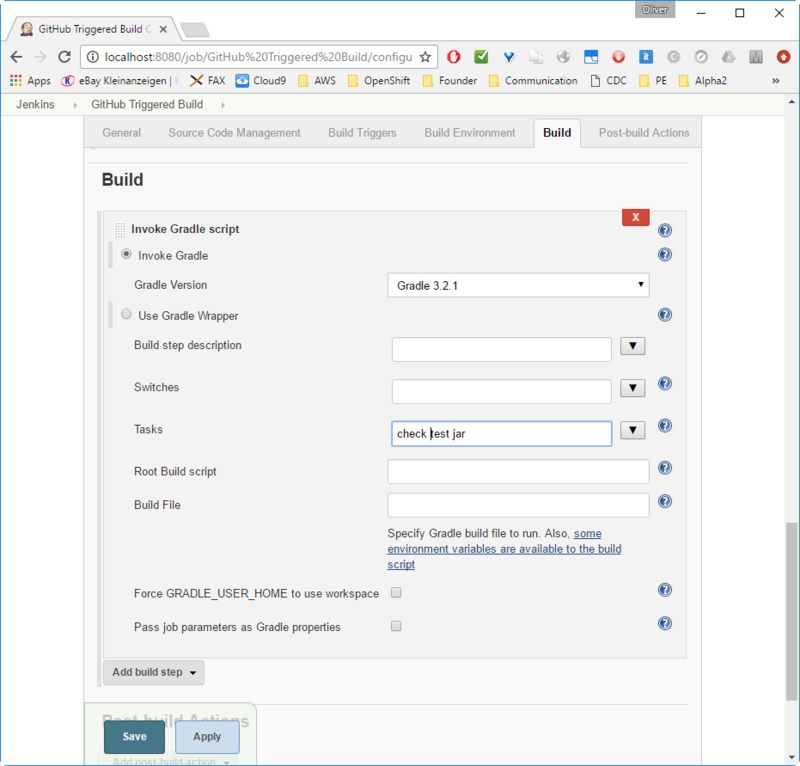 For the developer, it is very inconvenient to use the Jenkins Checkstyle messages from the console and match them with the code. 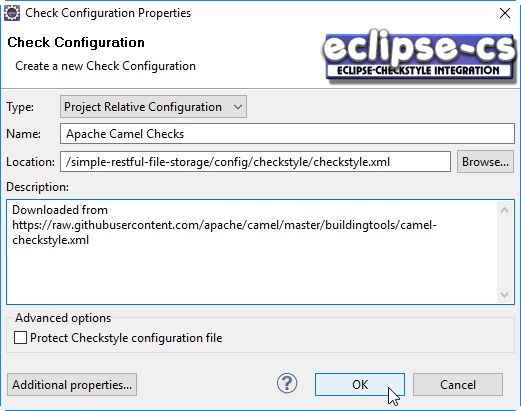 We need something better than that: the Eclipse Checkstyle plugin. 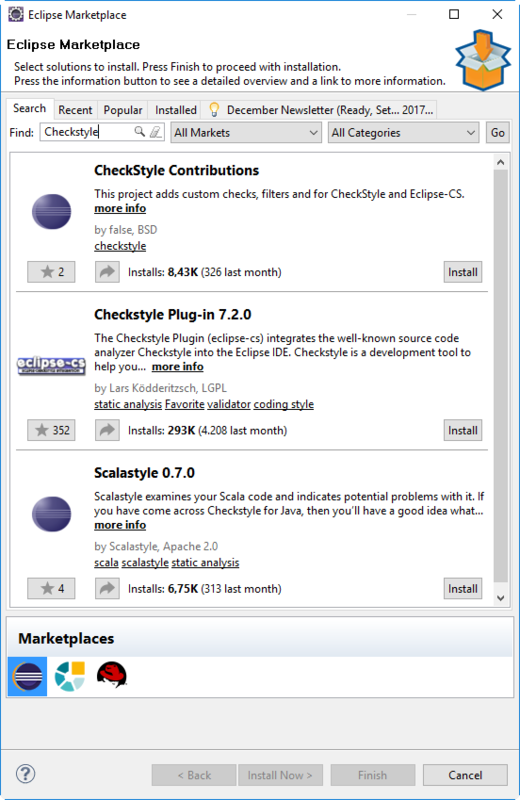 Now, the Checkstyle plugin is installed on Eclipse. 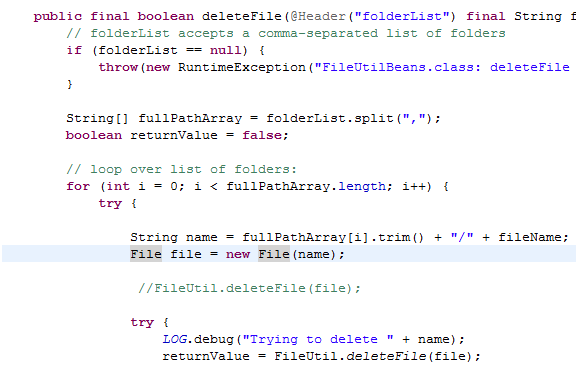 In the code, we can see the Checkstyle warnings. 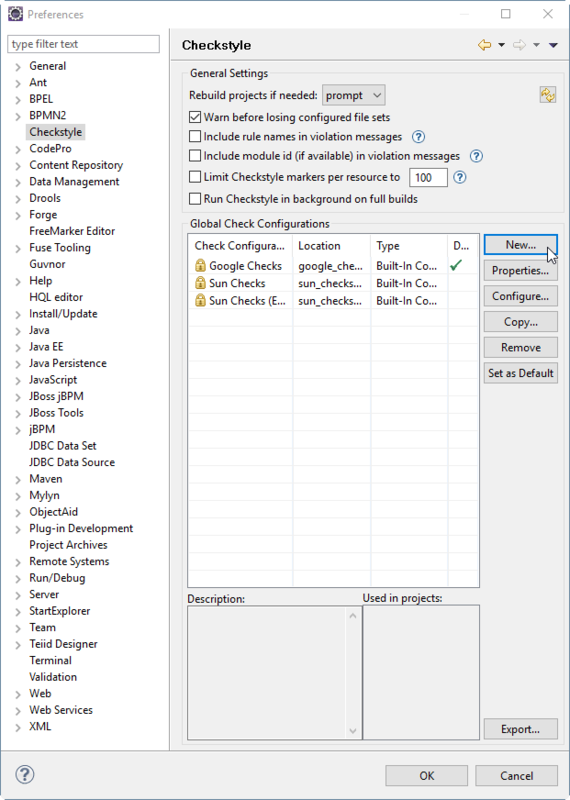 To get more information on the specific Checkstyle warning, the warning text can be retrieved via the mouse over function on the left of the code line, or on the markers tab on the lower pane of Eclipse. 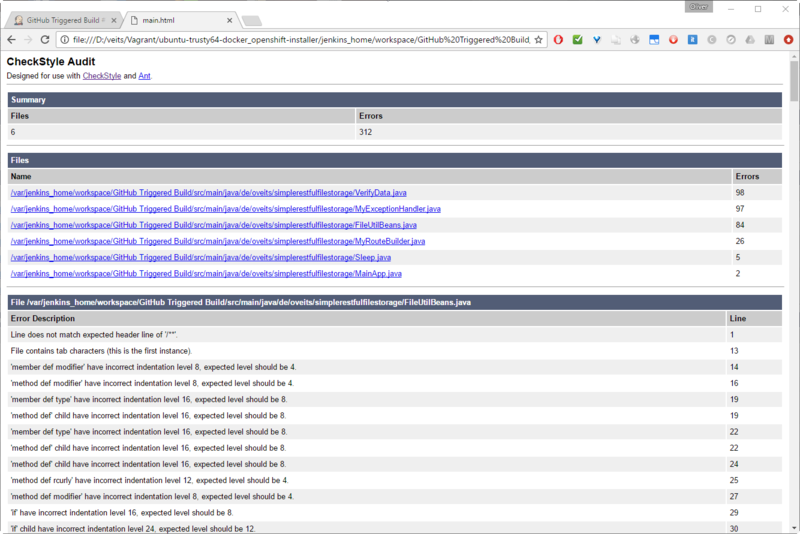 On the upper right edge of the figure, the number of warnings is slightly lower. 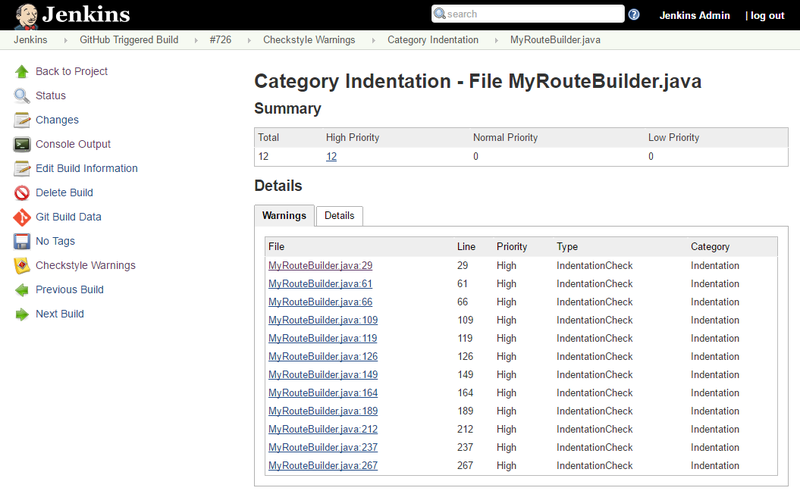 The code quality is far from being perfect, but we now have all tools and plugins needed to improve the situation. 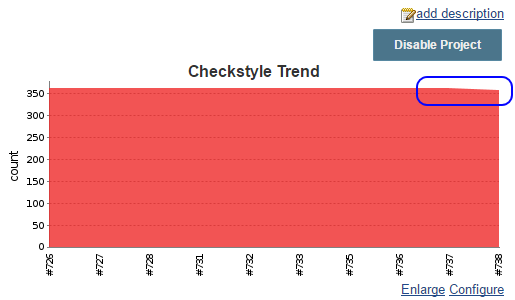 After changing all tabs by 4 spaces each, the number of Checkstyle violations goes down by ~50%. That is a good start. 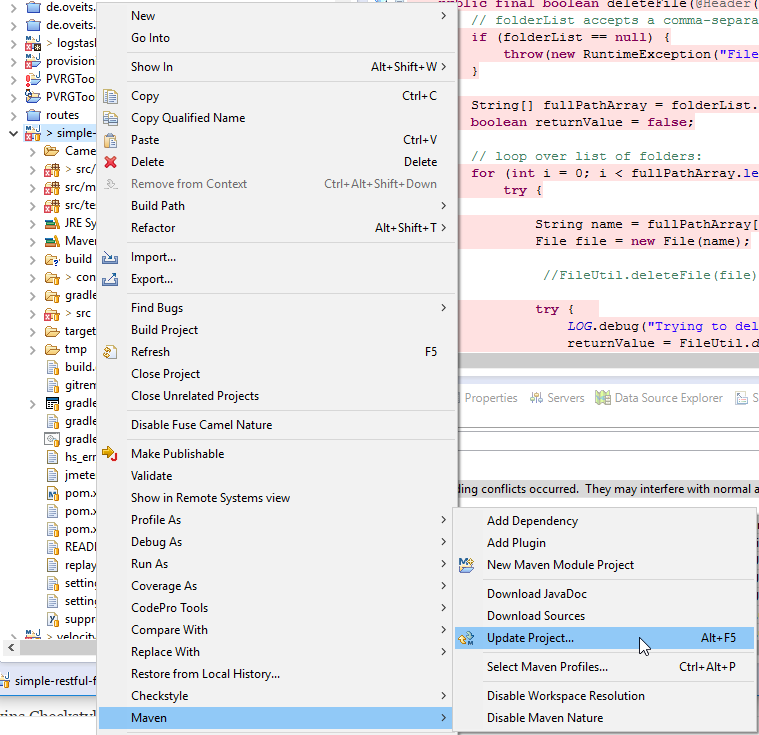 Perfect, we have learned how to use the Checkstyle plugin for Eclipse in order to produce better code. 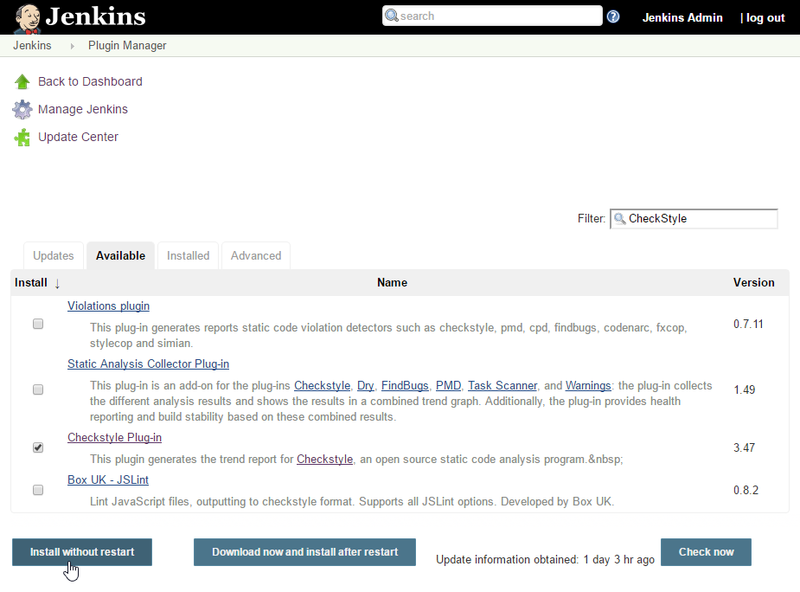 And the Jenkins Checkstyle plugin allows us to admire the progress we make. 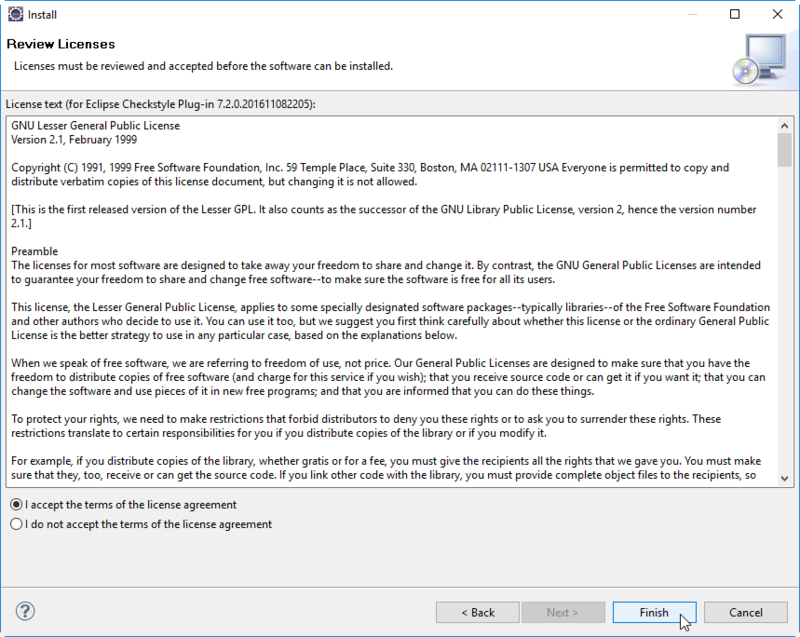 Note: this way of installation is recommended officially, but has failed in my case. 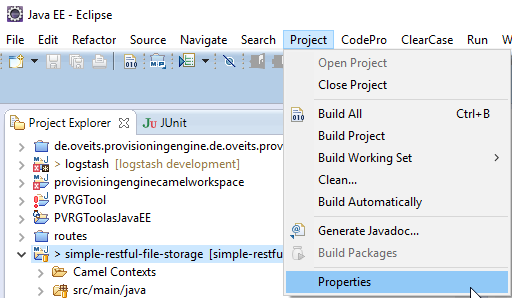 If you hit the same problem, try the local installation as described in step 5.1 above. After approximately two minutes, I can see it to proceed to 4 / 15. 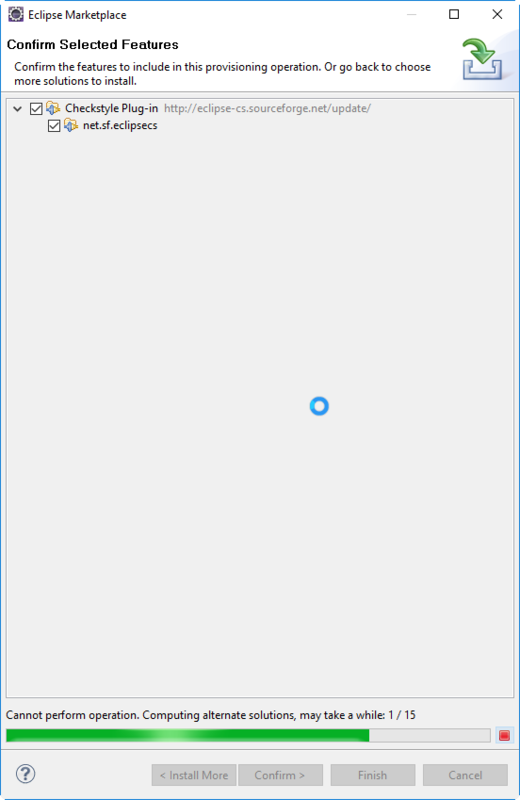 Good sign. 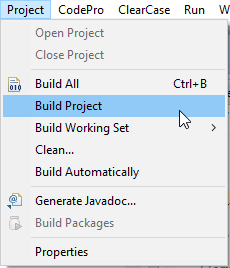 This will take all day! 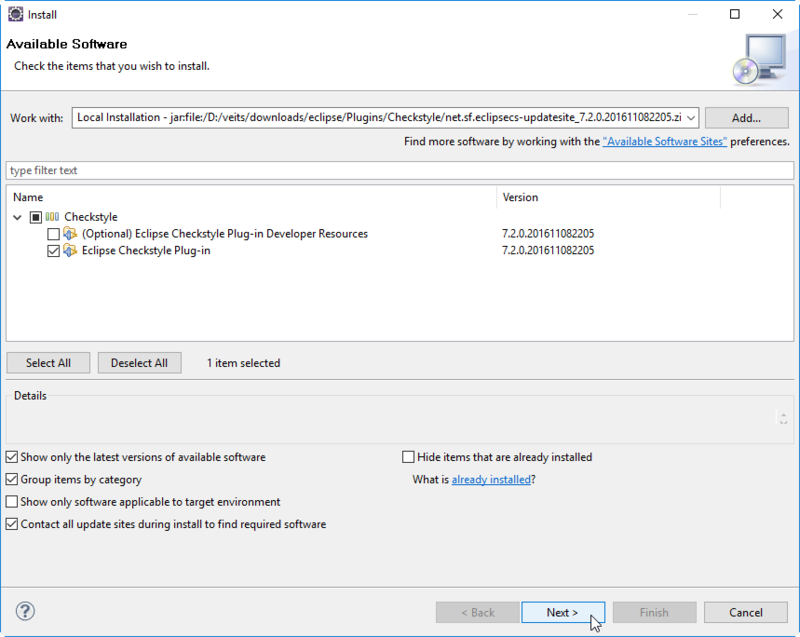 I hope I will not break my good old Eclipse installation (it is installed locally, not in a virtual machine or container and it has ever worked better than any new version I have tested…). 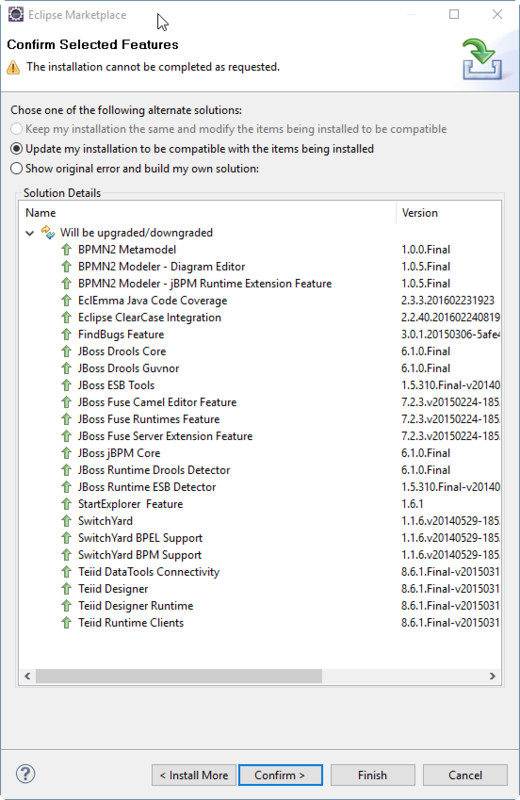 Then I had been asked to restart Eclipse and I have confirmed. All steps apart from the installation of the Eclipse Checkstyle plugin were quite straightforward. 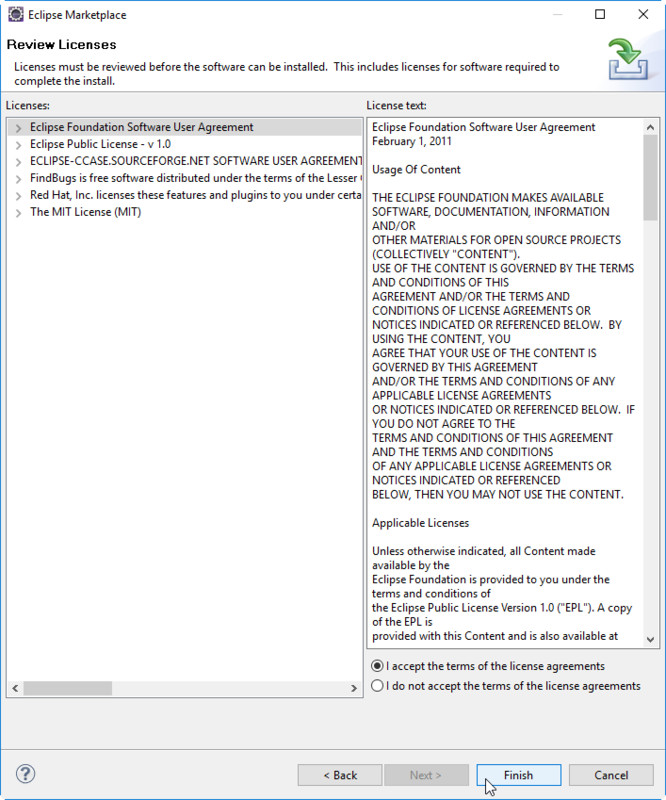 For the Eclipse Checkstyle installation, we had to revert back to a local download and installation method described in step 5.1: the installation via Eclipse marketplace had failed. 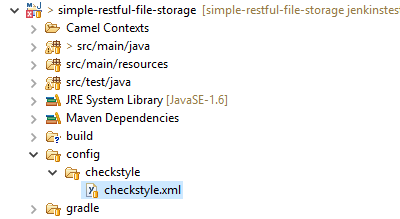 At the end, we could reduce the number of Checkstyle warnings by 50% without much effort.